This week’s five AHAs are from the AHAbook™ Don’t Knock It Till You Knock It. 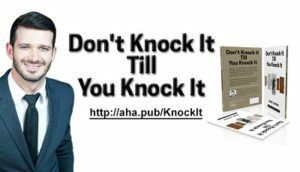 Please share this URL “aha.pub/KnockIt” in your social media status update to let your friends know about it. The Kindle version of this book can be downloaded for FREE today, September 25th (Tue) until September 29th (Sat). 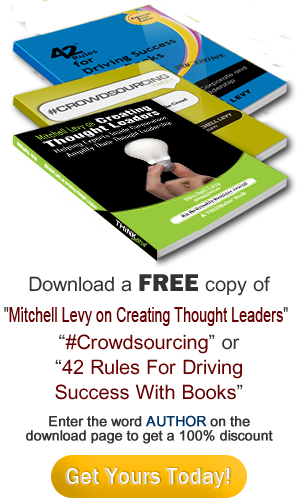 Get your FREE copy here: https://amzn.to/2NJ9lNL. For the past two decades, the D2D sales movement has been gaining incredible momentum, fuelled by consumers’ ever-increasing demand for an in-home, almost effortless, concierge buying experience. There has never been a better time to have a career in the D2D industry than right now. To see and learn how to automatically share AHAmessages from this book, you may check out this video: https://youtu.be/2DrFJz3PTZI. To learn how to automatically share via AHAblaster, please watch: https://youtu.be/mK3u8b0a-Fc.